Challenging Designs Inc. is proud to announce “CDI’s S.E.E. Results Package”. S.E.E. stands for “Swift Exposure Engine”. Because that is what it is. I was very excited when I attended our bi-weekly seminar online with Jason LaVanture of Real Tour VisionsTM last night. After 2 hours packed with information and 7 pages of notes, I was ready to start putting his teaching to work. I have heard about Exposure Engines and I knew I was going to offer it, but I really wasn’t sure what it was or how I was going to accomplish it. Well, I am a total believer in Jason once again. This morning, first thing, I get an email from my client telling me how much he LOVED the video and the e-flyer. So I gave it a day and this evening I checked the numbers through his report. I was bowled over! I am definitely making a “checklist” so I can do this as quickly as Jason (I can only hope). Take a look at the video here. CDI's S.E.E.TM Results Package brought almost 20% as many hits in one night just doing the standard (with a few special tweaks) has done in 2 months! The client is thrilled, the seller will be thrilled and so are we. Jason, thank you. You did it again. You gave me a wonderful product that can help all the Realtors here, if they come to me, of course. Everyone needs to learn how to do this. We just took a giant LEAP in our climb to be the VERY BEST! Currently working on our new website. Here is a small photo of what the home page will look like. We're very excited to get it up and running. 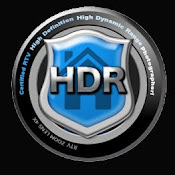 The newest software we've added to our offerings - will allow us to make personalized Tour CDs or Resume CDs for Real Estate Agents and Professionals alike.